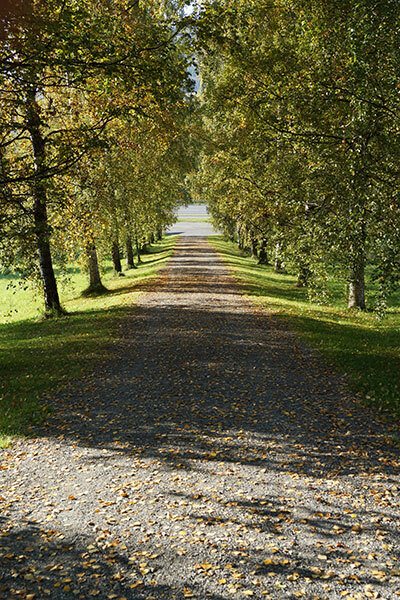 You will find parking by Dikterportalen, and on the southern side of Aulestad park. Aulestad, the home of Bjørnstjerne Bjørnson is located along RV 255, just to the north of the centre of Follebu. Dikterportalen lies beside the road, a tourist office run by the municipality of Gausdal. The road from Dikterportalen up to Karoline and Bjørnstjerne Bjørnson’s house is steep, and you gain access by walking via the avenue or taking the walkway through the park. Disabled persons or groups arriving by bus can drive up to the courtyard below the house to let passengers disembark. The access for wheelchairs and those arriving with prams is good in Folkestua and Drengestua café. There are toilets in the basement of Drengestua.